Evans vs Ortiz UFC 133 Preview & Fight Card | MMA Fighting Events Videos Techniques UFC Fight Picks and News. On Saturday Tito Ortiz gets a chance to continue his comeback. 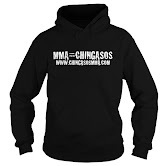 UFC 133 Evans vs. Ortiz is going down in Philidelphia at the Wells Fargo Center and it's due or die for Tito's UFC career. A win against Rashad Evans puts him in the running for the light heavyweight title, while a loss puts him back at the bottom of the heap with time running out for his MMA fighting career. 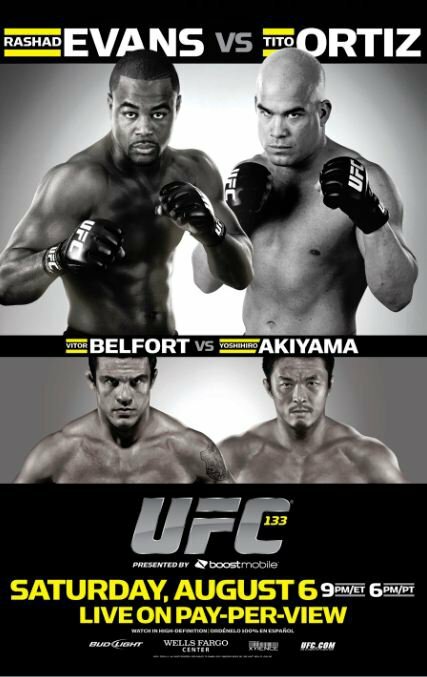 UFC 133 will also feature Vitor Belfort vs Yoshihiro Akiyama. Vitor Belfort, like Tito Ortiz is fighting for his UFC career and one last run at the title. Akiyama is standing in his way and presents a formidable challenge. While there are not titles on the line at UFC 133, the UFC did and excellent job in making up for that by headlining UFC 133 with two former champions and UFC vets. Both Tito Ortiz and Vitor Belfort are former UFC champions fighting for more than just a win, they're fighting for their careers, their legacy and for an opportunity to stay in the biggest show in MMA, the UFC.